Last night I was in Netivot for my brother's Henna party, and while we were walking to the hall from the bus stop, I saw a lot filled with an insane amount of wild edibles, including lots and lots of garland chrysanthemums, known in Hebrew as chartzit atura, חרצית עטורה. 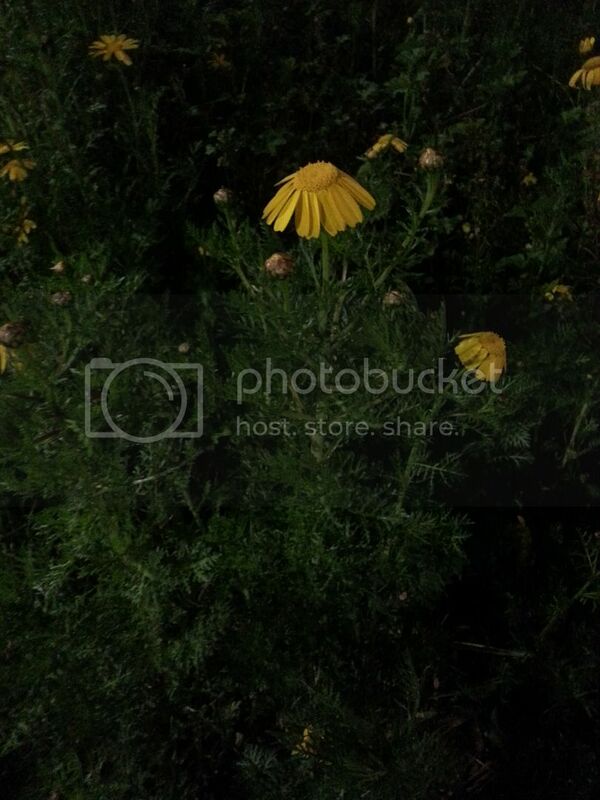 It's scientific name is glebionis coronaria, and it used to be known as chrysanthemum coronarium. I must admit, one of the biggest reasons I love traveling around the country is getting to see plants that I don't get to see where I live. So, instead, I took pictures to share with you, which, unfortunately, because it is night, the picture quality wasn't that great. This plant grows all around the country in the winter and spring. 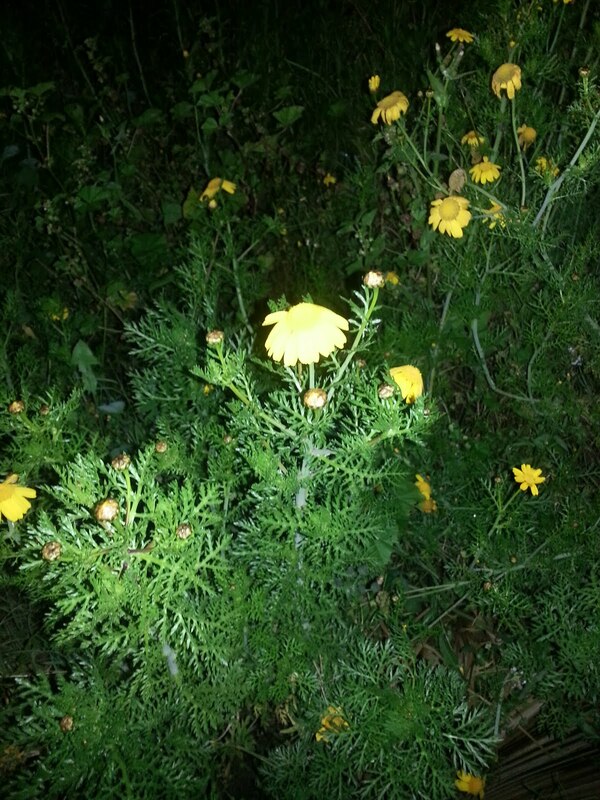 You can identify this plant quite easily by its feathery leaves and large yellow orange daisy like flowers. They look slightly like the poisonous סביון, savyon aka common groundsel, (seneccio vulgaris) plant, but the leaves on the garland chrysanthemum are much more feathery and thin, almost like wild fennel while savyon leaves are thicker. The garland chrysanthemum is also a much taller plant, usually at least a foot tall, if not more, whereas savyon is usually not more than 6 inchs tall. Garland chrysanthemum's petals are also much bigger than that of the savyon. Chartzit reminds me a drop of wild chamomile, at least in terms of leaves, but it is taller and the flowers are all yellow and bigger than chamomile's smaller white flower with a yellow center. Garland chrysanthemums are entirely edible, also the leaves, the stems, and the flowers. The leaves are typically eaten in Asian dishes, both cooked and raw. Bedhouins say boiling the flowers and drinking the liquid should help lower fevers, heal stomach aches, and stop diarrhea. Since I haven't prepared them, I can't tell you what they taste like, but hopefully if you pick them you can tell me if they taste good. Have you ever seen this plant growing around? Where have you seen it? Did you know it was edible? Ever picked it? If you have picked it, can you tell me what it tastes like, and how you prepared it? My husband would think it totally reasonable for me to shlep tons of this stuff to a wedding and then back home. He would expect nothing less from me.